Green (unroasted) 100% Kona coffee beans. Estate Grade. Certified and inspected for origin by State of Hawaii. A treat for home roasters who know what makes an excellent cup. 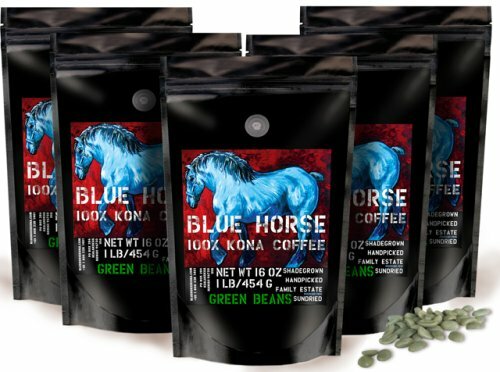 If you have any questions about this product by Blue Horse Kona Coffee, contact us by completing and submitting the form below. If you are looking for a specif part number, please include it with your message.